For aircraft owners and engineers who work on Rotax 912 engines removing and refitting the oil filter can be a labour of love especially in tight areas. 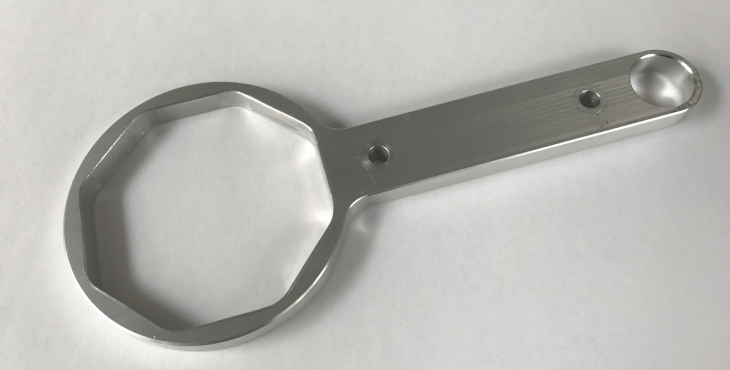 Following customers demand we now manufacture in the UK a ultra light weight Rotax oil filter spanner (8 side) in Aircraft grade 6082T6. This grade of aluminium is tough and hard wearing and means we can make it slim enough to fit into the tightest of locations.